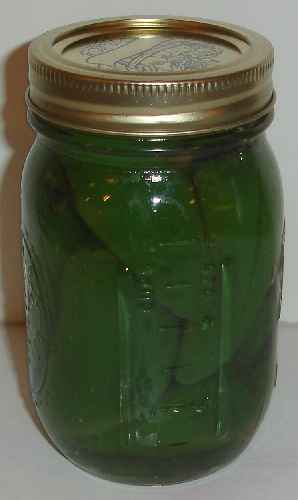 Looking for How to Make Pickled Peppers - Easily! With Step-by-step Photos, Recipe, Directions, Ingredients in 2019? Scroll down this page and follow the links. And if you bring home some fruit or vegetables and want to can, freeze, make jam, salsa or pickles, see this page for simple, reliable, illustrated canning, freezing or preserving directions. There are plenty of other related resources, click on the resources dropdown above. Hot or sweet, including Chilies, Pimiento, Hungarian, Banana, Jalapeno, Etc. 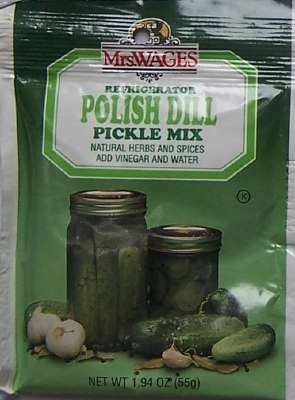 You think only Peter Piper can pick a peck of peppers and pickle them? Nah! Here's how to make and can your own pickled peppers! 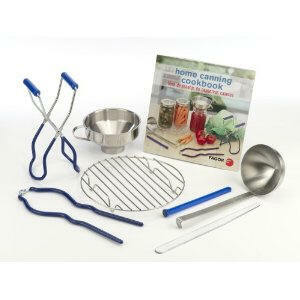 The directions are complete with instructions in easy steps and completely illustrated. 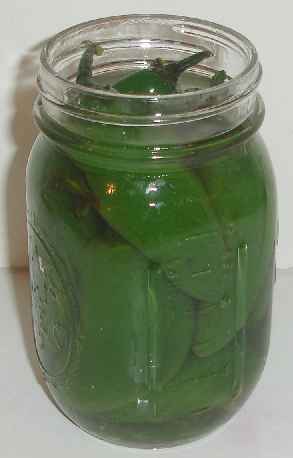 In the winter when you open a jar, the peppers will taste MUCH better than any store-bought canned peppers. 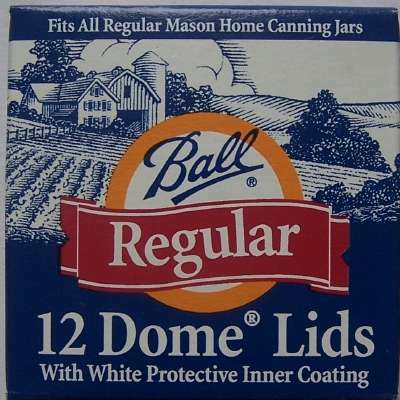 Prepared this way, the jars have a shelf life of about 12 months, and aside from storing in a cool, dark place, require no special attention. 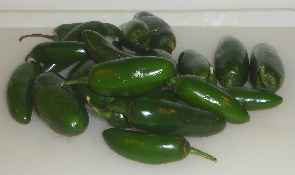 If you'd rather can peppers UN-pickled, and you have a pressure canner, see this page on how to can peppers. 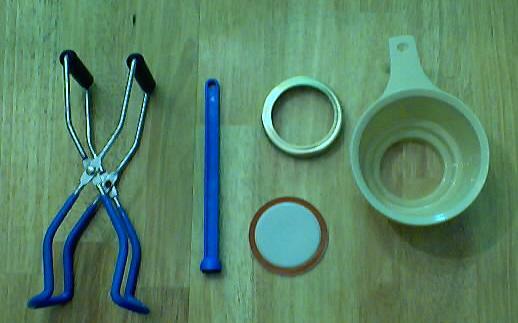 5 cups vinegar (5%). Distilled white vinegar helps preserve the original color of the peppers. 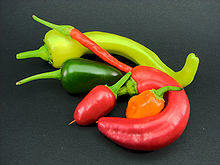 Cider, wine and malt vinegars may be safely used, but they tend to darken then color of the peppers. The most important step! You need peppers that are FRESH and crisp. Limp, old peppers will make nasty tasting canned peppers. Guests will probably throw them at you.. Select filled but tender, firm, crisp peppers. 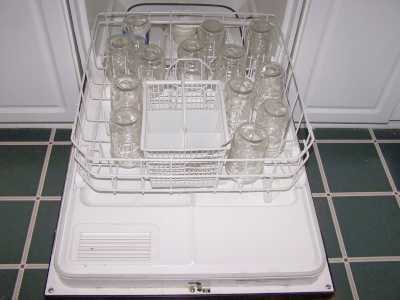 Remove and discard any soft, diseased, spotted and rusty pods. Select firm, young peppers. Older, larger peppers are often too fibrous and tough. You can grow your own, pick your own, or buy them at the grocery store. 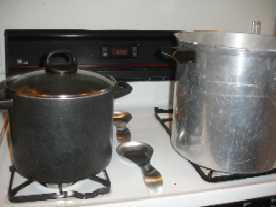 An average of 7 to 9 pounds is needed per canner load of 9 pints jars. 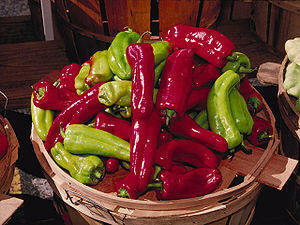 A bushel of peppers weighs 25 pounds and yields 20 to 30 pints canned; an average of 1 pound per pint. Small peppers may be left whole. If small peppers are left whole, slash 2 to 4 slits in each. Large peppers should be quartered. Remove cores and seeds. Heat it to boiling and simmer for 10 minutes. Then remove the garlic (and discard). 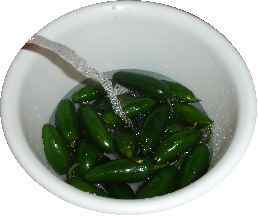 Recommended process time for Pickled Hot Peppers in a boiling-water canner. Q. 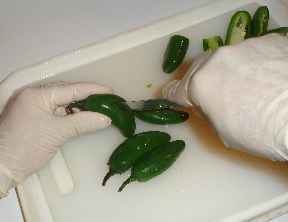 Is it safe to can pickled peppers in a traditional water bath canner? A. Yes. The instructions are above. Q. 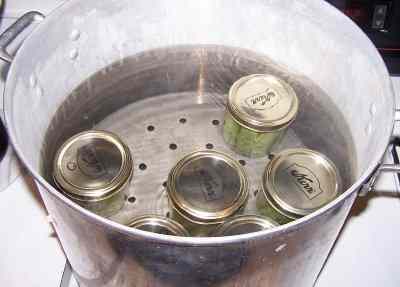 Is it safe to can peppers (without pickling them) in a traditional water bath canner? If so how long do you do process them? 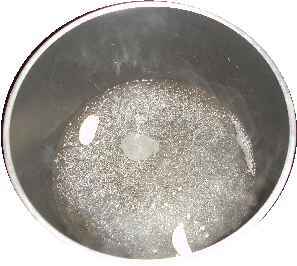 "Pressure canning is the only safe method for home canning vegetables (which are not being pickled OR have sufficient natural acid, like tomatoes - ed). Clostridium botulinum is the bacterium that causes botulism food poisoning in low-acid foods, such as vegetables. 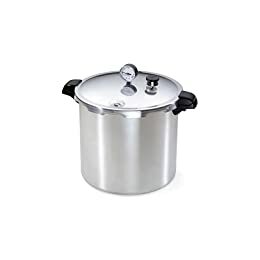 The bacterial spores are destroyed only when the vegetables are processed in a pressure canner at 240 degrees Fahrenheit (F) for the correct amount of time.